Need to get 0 B/128 kB of archives. After this operation, 8 192 B of additional disk space will be used. Also got another error depends on readline. post it here? Remove libreadline7:i386 which is causing an unmet dependencies error. Uninstalling libreadline7:i386 will also solve the trying to overwrite error. Then install the Slack snap package which as a standalone package will not make any additional package management problems or require any additional dependency packages. 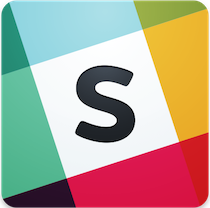 This command will install Slack 3.3.3, and it will also be updated automatically if an update is available. Slack has a free version for small teams, or anyone who wants to try Slack for an unlimited period of time. Not the answer you're looking for? Browse other questions tagged apt software-installation dpkg readline or ask your own question.